It is estimated that heating and cooling a home accounts for as much as 50% of a homeowner’s monthly utility bill. Unfortunately, a lot of that money literally goes out the window because of a variety of factors. However, there are steps any home owner can take to reduce the amount of heat and air loss and save money in the process. First and foremost, you have to stop air from moving into and out of the home. Credit: mjpyroIf you are interested in lowering energy costs, the first place you need to start is making sure there are no gaps or cracks around your home that allow airflow in or out. Believe it or not, a lot of air leakage into a home comes through wall outlets and switches. You can purchase insulating gaskets that are designed to cover these holes. Begin by checking around windows and doors. Make sure the windows are sealed tight with a functioning rubber gasket at the bottom of each. If there are any gaps along the sides, apply a bead of caulk on the inner part of the window. If you apply caulk on the outside, make sure it is an exterior rated caulk or it will simply dry and peel off. Inspect all doors that lead to the outside and verify there are no gaps along the sides, top or bottom where the door meets the threshold. If the door does not close tight, you can purchase various types of weather stripping to go around the edge of the door frame. If there is a gap at the bottom of the door, there are adjustable thresholds that can be installed so that you can form a tight seal. Additionally, there are threshold sweeps that can screw to the outside of the door that cover any gaps with a thin, flexible piece of rubber. If you live in an area of the country that has particularly harsh winters or brutal summers, you may want to consider installing storm doors and windows. This will give you an extra layer of insulation from the outside world and reduce heat transmission and air leakage into or out of the home. Another area you may want to take the time to check is behind the trim of doors and windows. In colder climates, it is common to fill gaps behind the door and window frames with insulation. However, in other parts of the country, your builder probably skipped this step. You can check by carefully prying the trim from one of the windows. If there is no insulation, stuff the appropriate R value insulation in all of the gaps to reduce air leakage. You can also use the spray foam that can be purchased in small cans. If your house is built on a crawl space, then you have vents that are built into the masonry foundation. During the winter months, it is important to close off these vent grills to reduce the amount of cold air entering underneath the house. Next, check around your foundation for any cracks in the masonry. If the masonry is damage, you can repair it with a mortar mixture. Outside of the midwest and northeastern portion of the United States, most builders do not insulate crawl spaces in the lower 48. This can be a major source of energy loss. Ideally the inner sides of the crawl space and underneath the floors should have a layer of insulation installed. If you are looking for a DIY project to save on energy costs, installing insulation bats in between floor joists is a very doable project for the average home owner. Inspect your garage door and consider installing weather stripping around the sides and bottom of the door so that when it closes, it forms a seal blocking out the hot or cold air. This is particularly important if your garage door faces west bearing the brunt of the hot afternoon sun for hours. When I replaced my garage door last year, I chose one of the energy efficient upgrades over my 20 years old model. I can really tell the difference in my garage on extremely hot or cold days. Insulating your outer walls, ceilings and under your floor joists with the proper amount can recoup the cost in energy savings over time. How much time really depends on you. The National Insulation Association estimates it could take 6 months to 2 years, but the point is that you will recoup the upfront costs eventually through energy savings. To determine how much insulation you currently have in your attic, measure the thickness of your attic’s existing insulation with a ruler, then multiply the result by 3.14 to get the R-value. Use the chart below to see what the Department of Energy recommends for your area. 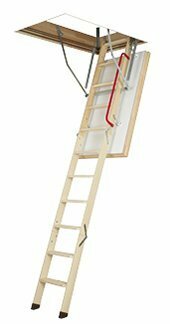 If you have pull down ladder inside your home that leads to the attic, make sure that it forms a tight seal when closed, else your hot or cold air will leak into the attic. If your attic ladder is more than 2 decades old, you may want to consider installing one of the newer model that are stronger and more energy efficient. When installing insulation in the attic, be sure to use insulation baffles from the soffit vents on the eaves. These baffles are attached to the bottom of the roof and maintan about a two inch gap between any blown-in insulation and the roofline allowing for air circulation to occur in the attic. If you have areas of your home that are unoccupied, close those areas off by shutting doors and closing the vents into those rooms. Some studies suggest that you can save as much as 10% off your monthly electric bill depending on the size of the house. Your home should have the thermostat installed on an inner wall so it will not be affected by hot or cold areas on the perimeter of the home. 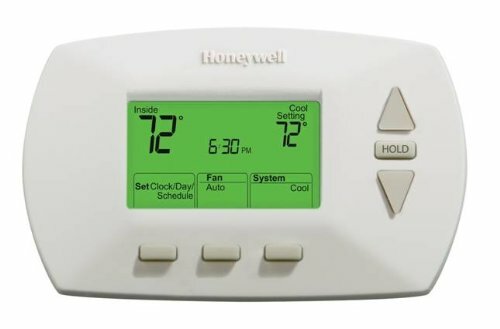 If you are going to be gone from your home for more than 6 hours, it is recommended that you set your thermostat program to around 82 during the summer months so you are not cooling an empty house. You can use set the programmable thermostat to kick back into your desired air temperature about 15 minutes before you arrive home from work each day. You will never know the difference. For just a little bit of work and a few hundred dollars, you can save big money on your electric bills going forward. How much in savings will depend on you and how much you want to invest up front. That is the hardest part of this DIY money saving tip. But rest assured that the savings will come over time. I read a few important tips on how to become more energy-efficnet and how to save more money this winter.